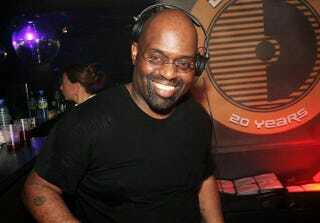 The legendary Frankie Knuckles, the “godfather of house music,” passed away at the age of 59 on Monday. Knuckles’ longtime business partner, Frederick Dunson, confirmed to the Chicago Tribune that Knuckles died unexpectedly of complications related to diabetes. Not only did Knuckles make classic hits for himself, but he was also instrumental in mixing tracks for Michael Jackson, Whitney Houston and Depeche Mode.